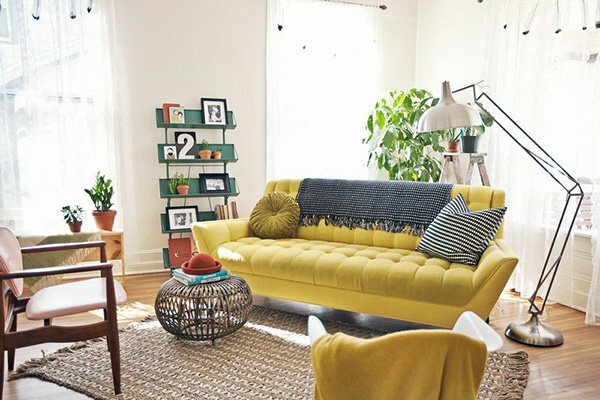 As consumers have become more conscious of the effects of colors on human psychology, choosing the right color for any room in the house have gradually turned into an important subject as well. 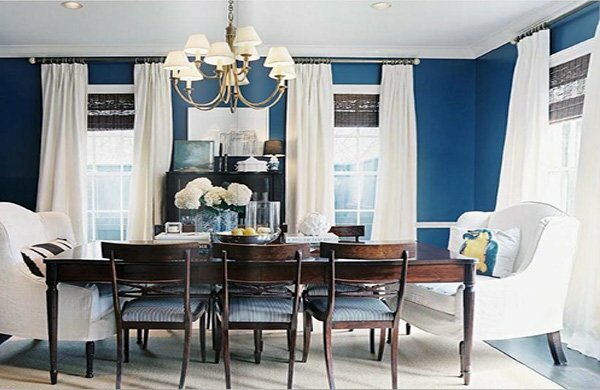 Being one of the most popular colors when it comes to psychological effects, blue represents peacefulness and simplicity in addition to elegance, comfort, and modernity. 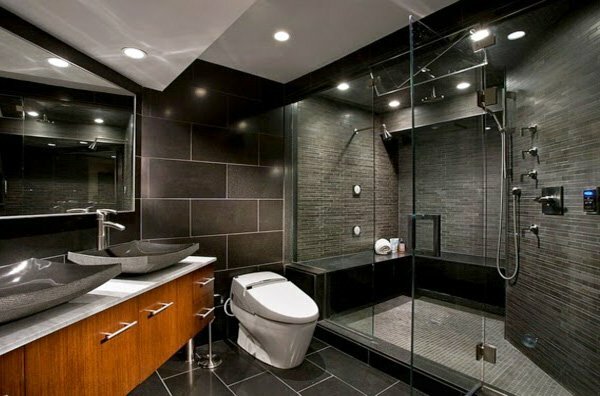 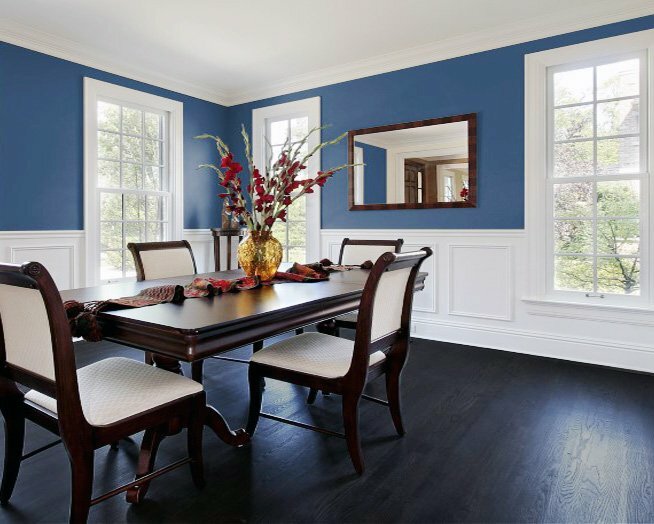 Therefore, blue is heavily used in home decoration, mainly in bedrooms and bathrooms. 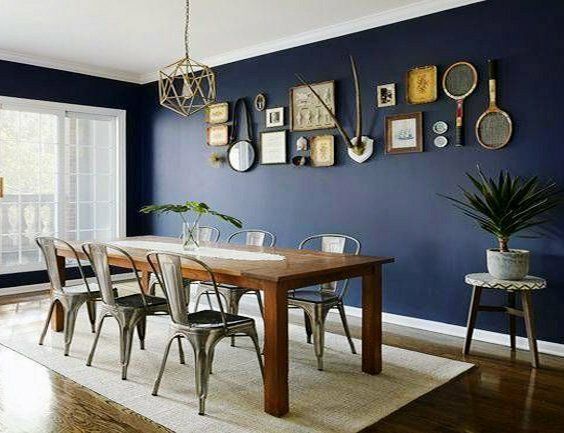 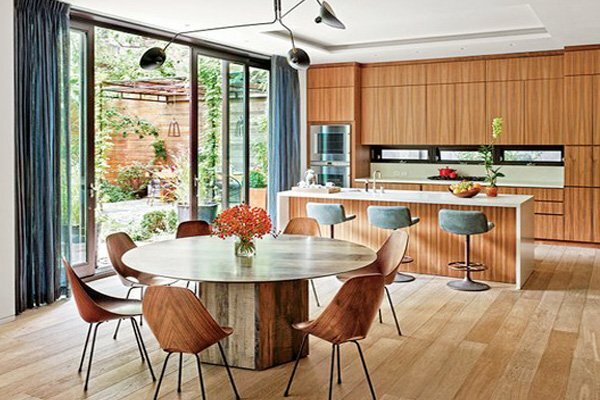 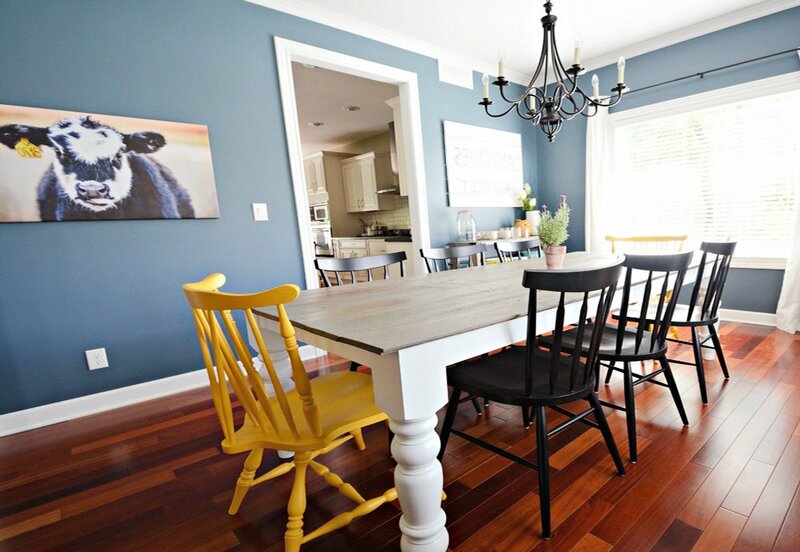 If you would like to be more creative and bold, opt for blue in your dining room to create a calming atmosphere in a space where you have your guests or gather around with family and friends to have a nice dinner. 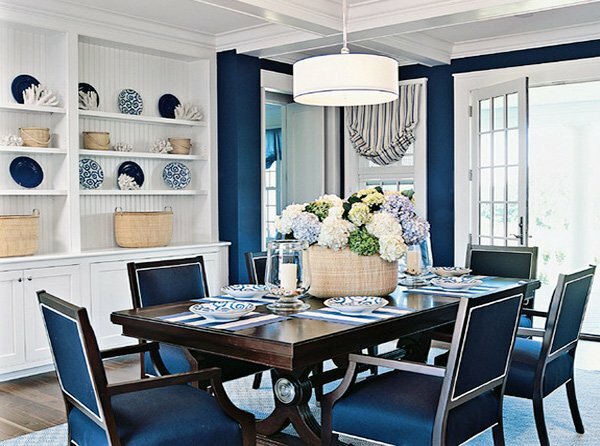 To suit your style, you can pick any shade of blue. 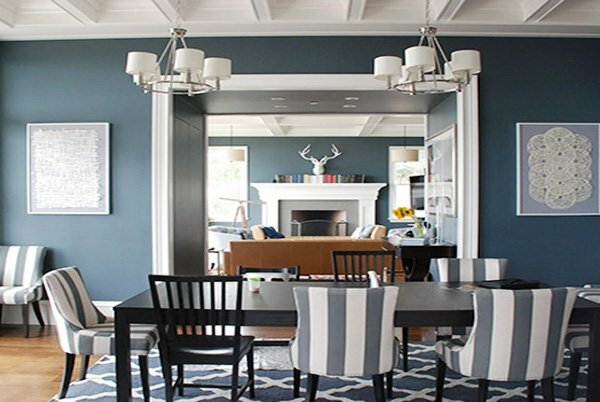 You can either opt for softer tones and create a beach inspired design or use darker tones to emphasize the elegance of the room. 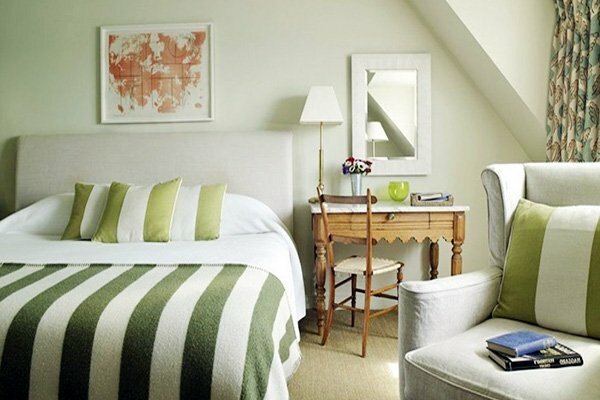 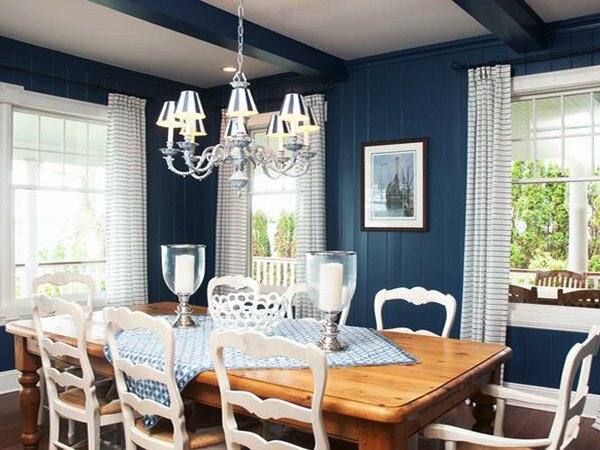 If you mix blue with white, beige, green and powder, you will definitely achieve that happy and calming look. 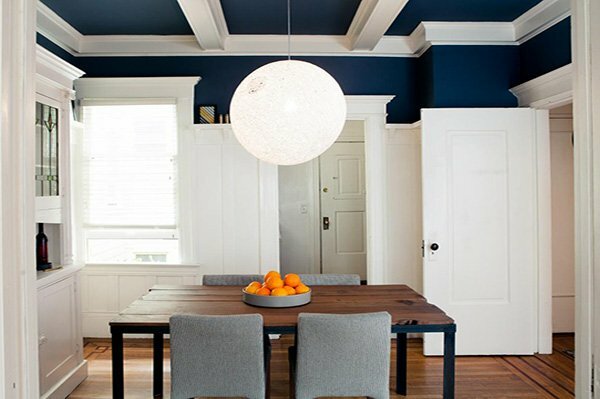 Or if you go with dark blue, night blue or navy blue, you will get that rich, warm and bold look. 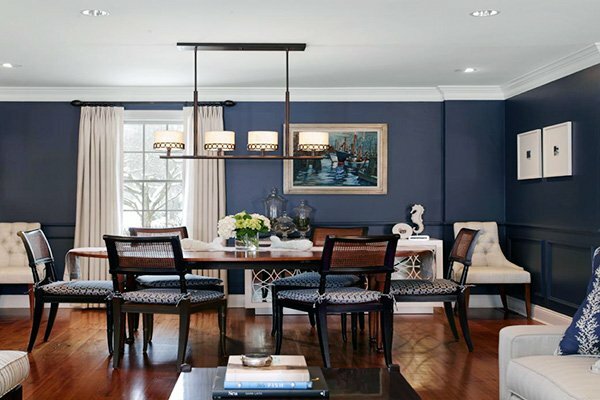 Remember, blue can be a tricky color as it might be considered cold and uninviting. 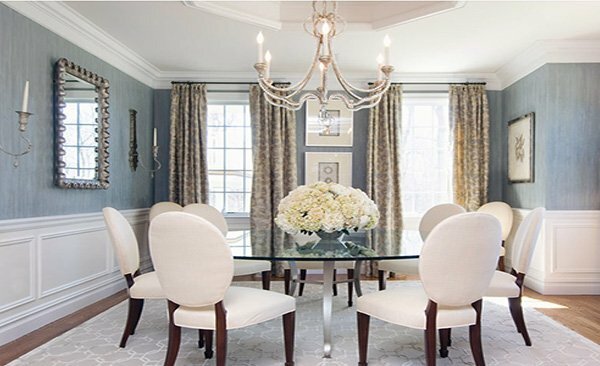 Make sure that you choose your accessories, chairs, table, table clothes, carpets, and curtains wisely to create a welcoming and clean space. 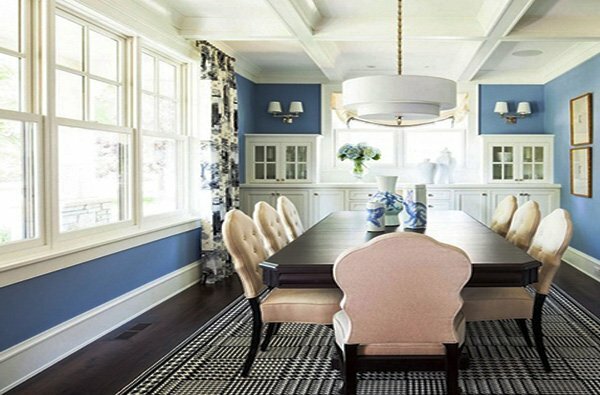 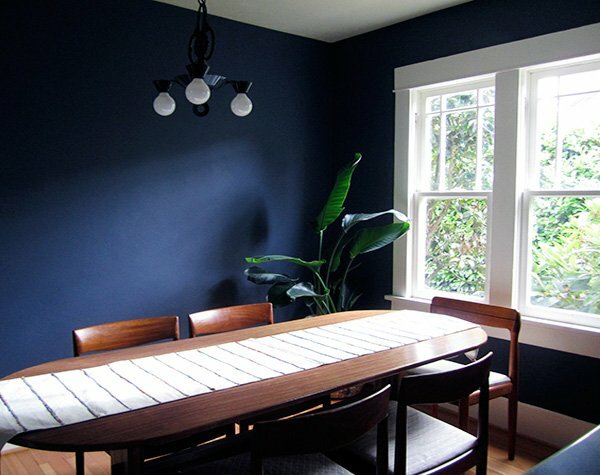 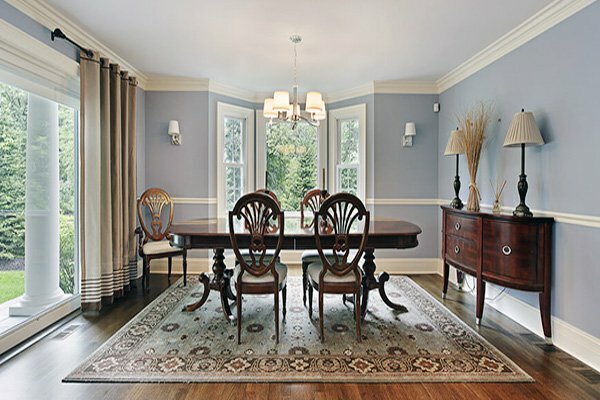 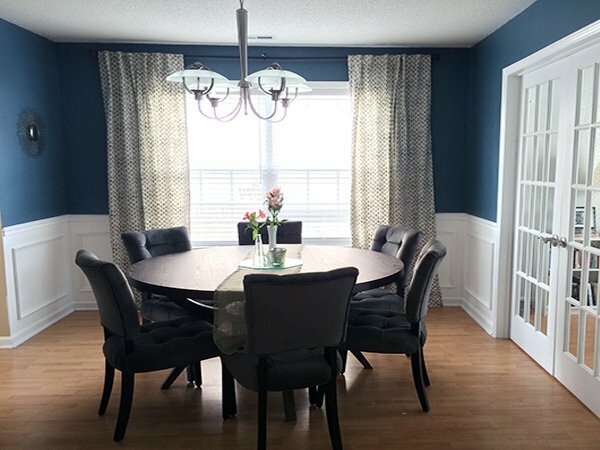 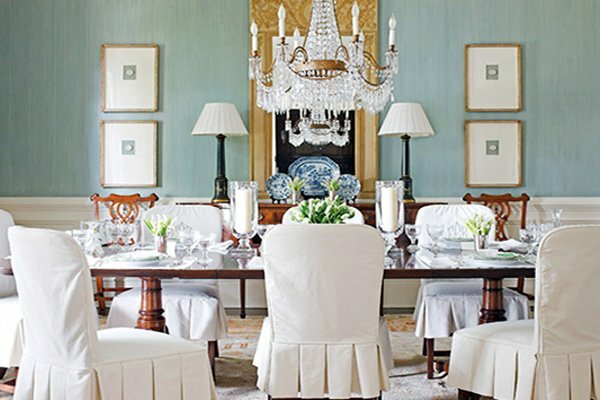 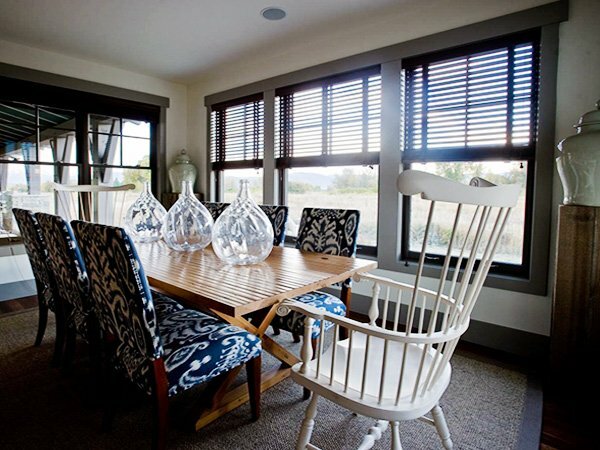 If you would like to bring elegance and tranquility to your dining room, make sure you take a look at these inspirational and fabulous blue dining rooms.